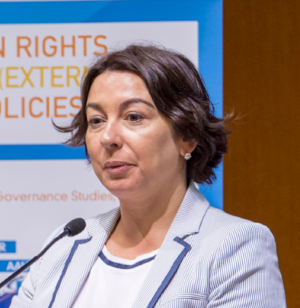 Bio: Ms. Mercedes García Pérez is the Head of Division for Human Rights in the European External Action Service, under the Managing Directorate for Global issues. Her Division in in charge of dedicated human rights dialogues and consultations with third countries; mainstreaming of human rights policy concerns into EU external policies, including in crisis management, anti-terrorism or migration policy; developing and supporting EU thematic strategies, including the implementation of guidelines addressing specific human rights concerns, such as freedom of religion or belief, abolition of the death penalty, and promoting fundamental rights essential for human and democratic development; preparation of EU policy positions on human rights in both bilateral relations with third countries and in multilateral forums, such as the UN Human Rights Council, the UN General Assembly Third Committee, the Council of Europe and the OSCE. 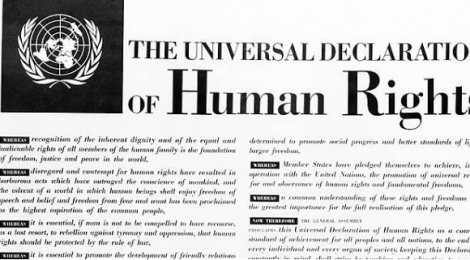 The Human Rights division also maintains close relations with civil society organizations from the EU and third countries working in the field of human rights and is in charge of programming financial assistance and support under the European Instrument for Democracy and Human Rights (EIDHR), as well as contributing to and participating in its implementation. Ms. García Pérez holds an LLM on European Law from the College of Europe in Bruges, Belgium, and Degrees in Law and Literature (Universidad Complutense) as well as a Diploma in Advanced International Studies. Participation is free, but we ask you to register by Tuesday 20 February at the latest.